this saturday, i made my first stop at Brooklyn’s DeKalb Market. it’s a mix of food and retail vendors selling their wares out of salvaged shipping containers. great idea, right? except that now i have what could become a serious problem – constant cravings for homemade s’mores from s’amore. 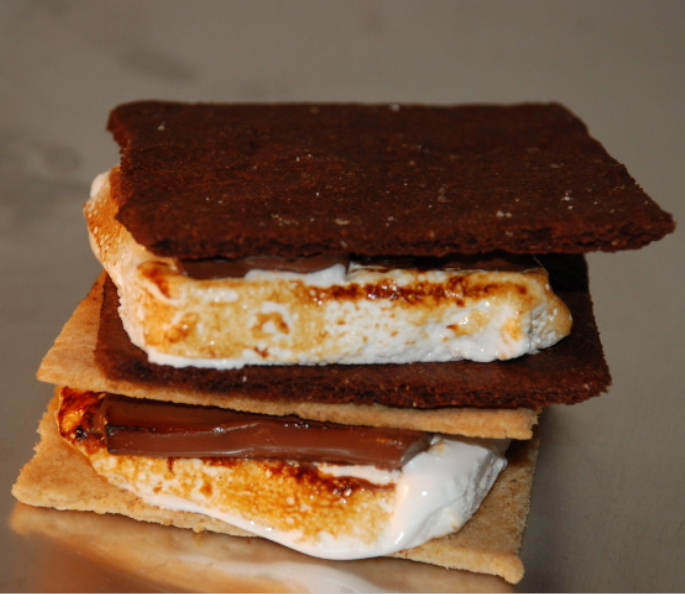 i had the classic combo – homemade honey graham cracker with homemade vanilla marshmallow and a little bit of chocolate. the marshmallow gets toasted with a little mini-torch, and damn if it’s not the best thing i’ve eaten in the last 4 days. the other great thing is that two NYC gals started this business. love that!